CBO estimated the Pentagon will have to budget $77 billion from 2019 to 2028 to maintain and update the nuclear early warning, command, control and communications systems, known as NC3. WASHINGTON — A new report by the Congressional Budget Office projects the United States will need to spend $494 billion over the next decade to maintain and update its nuclear forces. The latest CBO estimate released on Thursday is $94 billion higher than what it forecast two years ago. 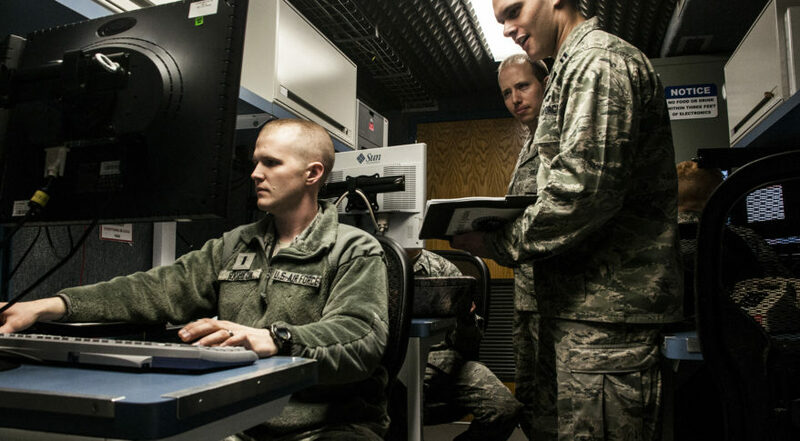 One area that is driving up the future cost of nuclear modernization are the command centers, satellites and communications systems that keep the president connected to military forces during a nuclear event. CBO estimated the Pentagon will have to budget $77 billion from 2019 to 2028 to maintain and modernize the nuclear early warning, command, control and communications systems, known as NC3 — about $19 billion more than the 2017 estimate. The CBO is required by law to project the 10-year costs of nuclear forces every two years. In its report, the CBO cautioned that the $77 billion estimate for future NC3 costs is probably conservative because much remains unknown about the Pentagon’s plans to acquire new satellites and airborne command centers. The reports breaks down the $77 billion price tag for NC3 into three broad categories: command and control ($19 billion), communications ($23 billion) and early warning ($34 billion). The price of sustaining and modernizing NC3 systems over the next decade jumped by $19 billion, CBO said, because the Pentagon will need to replace its aging fleet of four airborne command centers (nicknamed “Doomsday” aircraft) and pay for new early warning and communications satellites. CBO assumes the Pentagon will not be able to operate the 1980s-built E-4B fleet for much longer and will need to acquire new aircraft. The fleet includes four militarized and nuclear hardened Boeing 747 command-and-control airplanes operated by the Air Force Global Strike Command. Congressional budget analysts also see military satellites as a major cost driver. The Air Force plans to replace the Space-Based Infrared System constellation that detects missile launches with the next-generation Overhead Persistent Infrared system, along with a new ground system for communicating with those satellites. It also plans to develop a new system — called Evolved Strategic Satcom — to replace or supplement the Advanced Extremely High Frequency satellites, which allow communication among nuclear forces. “For all of those programs, plans are still being formulated, so there is substantial uncertainty in CBO’s cost estimates,” the report said. CBO’s cost numbers are based on what the Department of Defense and the Department of Energy requested in their fiscal year 2019 budgets. The total cost of $494 billion over the 2019–2028 period is 23 percent higher than CBO’s 2017 estimate of $400 billion over the 2017–2026 period. The nation’s current nuclear forces are reaching the end of their service life. They include submarines that launch ballistic missiles, land-based intercontinental ballistic missiles (ICBMs), long-range bomber aircraft, shorter-range tactical aircraft carrying bombs, and the nuclear warheads that those delivery systems carry. Over the next two decades, CBO said, essentially all of those components will have to be refurbished or replaced with new systems if the united States is to continue fielding those capabilities. The NC3 system was the subject of a six-month Pentagon review ordered by former Defense Secretary Jim Mattis. He decided to reassign the responsibility for NC3 modernization from the Air Force Global Strike Command to U.S. Strategic Command. The review was prompted by concerns that the NC3 technology is outdated and that there is no clear plan to modernize it. The head of U.S. Strategic Command Gen. John Hyten said last year that Mattis wanted a single officer responsible for NC3, as opposed to the “committee-like” structure that had existed previously. U.S. Strategic Command will be in charge of developing a plan to modernize the different components of the NC3 system. The Pentagon’s Nuclear Posture Review a year ago raised alarms about the age and security of the system. The NC3 includes warning satellites and radars; communications satellites, aircraft, and ground stations; fixed and mobile command posts; and the control centers for nuclear systems. The 2018 Nuclear Posture Review said many of these systems use technology that has not been modernized in almost three decades. With regard to satellites, the Air Force has been studying options to develop a new constellation of strategic military communications satellites called Evolved Strategic Satcom. The Advanced Extremely High Frequency system currently is used for both strategic and tactical communications. The Air Force has four AEHF satellites in operation and two more will be launched in the next two to three years. The Air Force has not yet settled on a plan to procure the Evolved Strategic Satcom system.